So my family and I moved into our house about three months ago, and my fiance had a pile of old crap she wanted to trash. 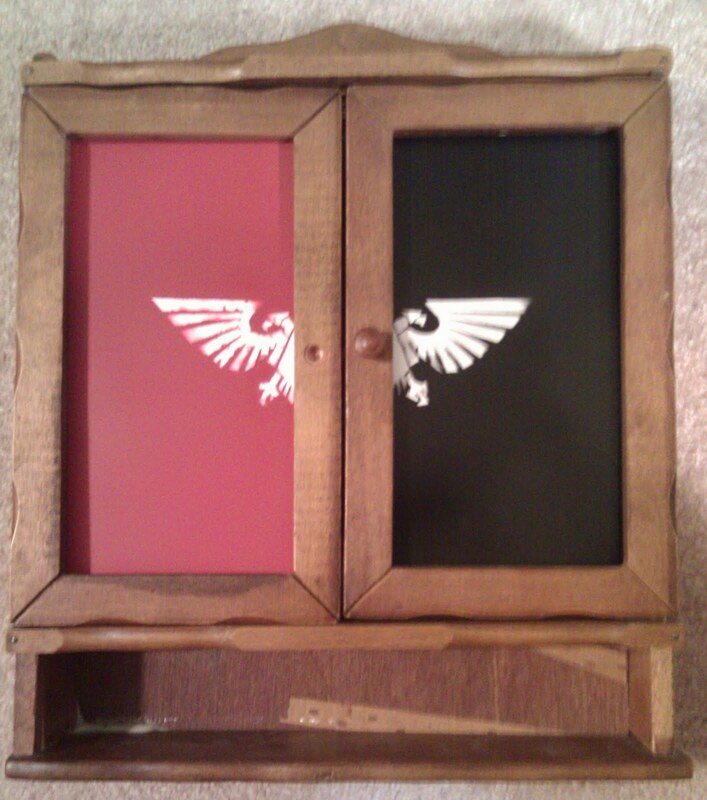 I salvaged a nifty little cabinet thing with a drawer. 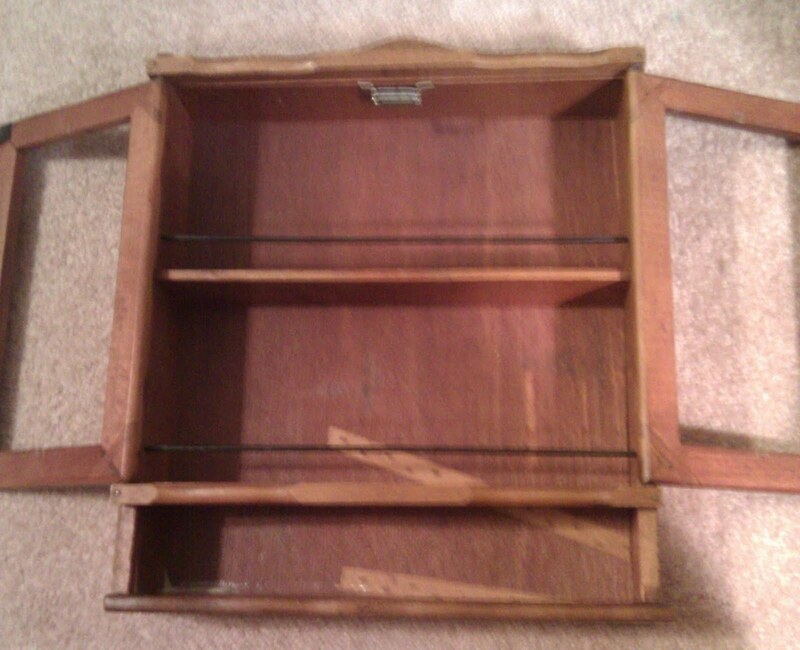 It had a loose fitting wire window, removed in the pic, and needed a little bit of tweaking and tightening. otherwise, it was a great little cabinet. 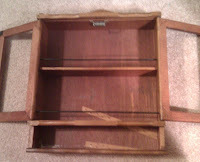 It has a shelf inside, with two little metal rails to keep things on the shelf and the bottom, two doors and a small area on the bottom that fits a little drawer. Perfect for little nick nacks, thimbles, porcelain figures, or in my case, Superhuman Angelic Warriors of the 41st millennium. 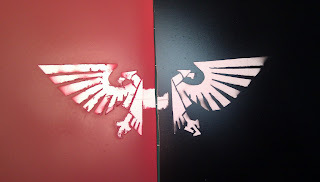 I wanted a quick project between painting squads so I measured out some plasticard, and threw an Aquila template on them and airbrushed them black and red. I did a test dry fit, and wouldn't you know, it looks pretty good! I just got to clean up the Aquila with some white paint touch up, secure the plasticard to the cabinet doors, add a knob to the left door, and Viola! A trashed old nick nack cabinet, now re purposed for use and blessed by the Imperium! I haven't decided if I want to repaint the cabinet itself, or leave it wood. Any suggestions? Is there any pieces of furniture, garage sale items, old containers or salvaged pieces you have used for your hobby? Slap a purity seal on there.